Refugee Camps recognized by UNRWA or categorized by UNHCR as “planned/managed camps” are eligible for free Research4Life access regardless of their geographical location. 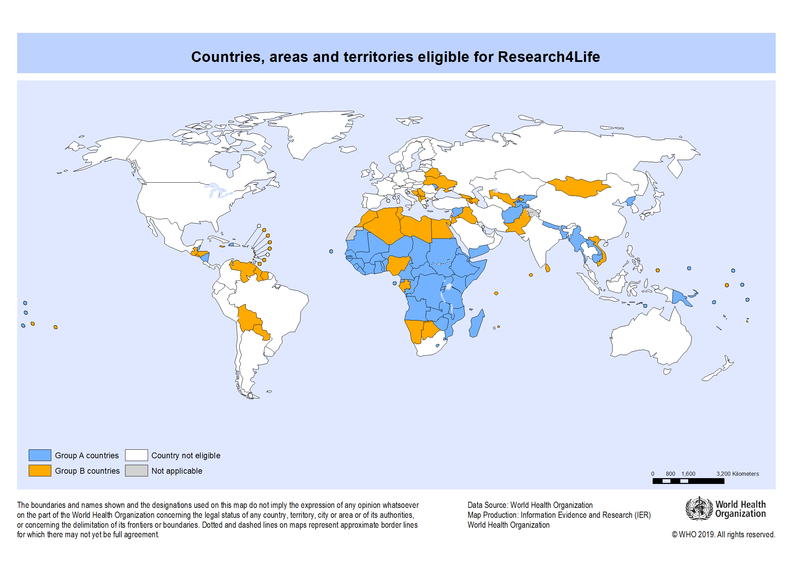 This list of countries, areas, and territories is intended for use by the Research4Life partnership only. Given the specific nature of the design of this list which incorporates factors relevant to our public-private-partnership, we recommend that anyone seeking a list of countries fitting certain criteria should consult original United Nations, UNDP, and World Bank data.